Après Furniture is the UK’s specialist in office partitions, providing the best glass office partitions from leading manufacturers. We provide specialist advice combining the planning, development and installation of the office partitioning systems. Our partitions range from silicone and dry jointed solutions, allowing you the flexibility if you choose to change or move at a later stage. Our selected range of partitions is rated as the best in the market for quality. Areaplan Kristal is a practical and attractive solution for partition walls, with optional shelving and worktops. 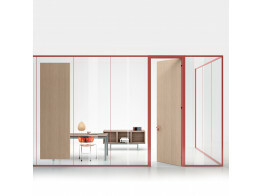 Wallsystem Partitions is a collection of internal glass partitioning that divide space with colour. 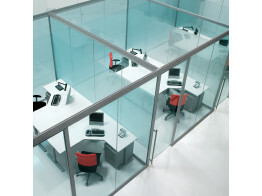 Elite Partitioning program that breaks the rules and offers innovative cellular work spaces.